One of our passions at Crosswear Trading is providing high-quality balloons products to stores across the UK. We have our finger on the pulse when it comes to what’s popular with customers and what items are proving to be a common choice. As such, we’ve put together a blog around some of the leading balloon styles this year so far to provide you with some inspiration if you’re not sure what to opt for. So take a look and make a positive decision for your business today. Walking Balloons have taken off in a big way in recent times – and for good reason. These exciting products are different from normal balloons as they can be walked around a room, offering hours of fun for kids and adults alike. At Crosswear Trading, we stock a host of walking balloons in the shape of all your favourite animals. Select from dogs and cats through to farmyard animals like ponies, sheep and hens. We also stock penguins, ladybirds, giraffes, zebras and even unicorns and dinosaurs, so our range is wide. These are a great option for your store due to the fact they aren’t like other balloons. People like variety and to try something new, so walking balloons can really be advantageous. Balloons that light up are a great option for instore partyware, with the capability of illuminating a space and being truly eye catching. As balloon designs become more advanced and streamlined, light up balloons are proving increasingly popular as a partyware item. There’s a great selection available at Crosswear Trading, so don’t miss out. This popular choice is a great option for your stores as it lets the customer pick and choose exactly what they want ahead of an event. So, for example, birthdays are always a good excuse for celebration. So having numeral and letter helium foil balloons will allow your customers to pick exactly what they’re looking for – be it ages or names, or both. We’ve seen this great style of balloon remain as popular as ever during 2018. The jumbo foil balloon is an ever present and we have a host of fabulous designs in our range at Crosswear Trading. We have more than 300 of these balloons in our range, covering everything from birthdays to wedding and engagements to new arrivals in the family. 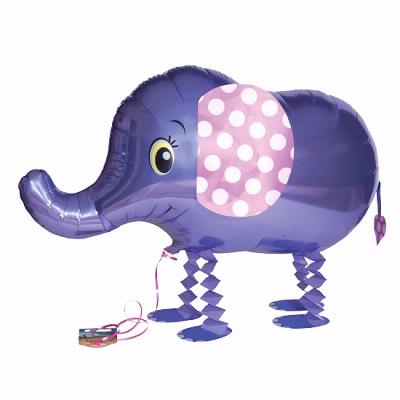 Customers love this type of balloon, so don’t miss out on sales for your store. We’ve also noted a rise in the amount of people looking to accessorise and do something different with balloons. This includes adding items such as confetti and feathers to the inside of balloons, as well as items to help decorate balloons. We also stock balloon glitter glue pens and stickers, so you can stock up on great items from Crosswear Trading today and provide your customers with a host of options. If you like what you see and think items from our balloon range could be right for you, why not sign up for an account? You can buy balloons in bulk with ease and get the perfect partyware range in your store. It has placed so many news reviews to maintain top five balloon styles in the year of calendar. The online cheap writing essay australia news they were listed to gather best online features and books to help every participator of this blog. I am going to celebrate birthday of my daughter next month and looking for best balloon styles to amaze her and make the party batter. Thanks to paperater for mentioning this article to read and get your ideas.